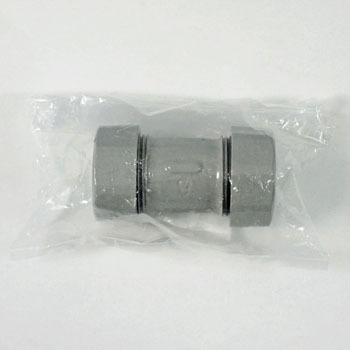 * Nominal Vinyl Pipe Call (A) 25, 30 needs to be replaced with PVC pipe packing set. I bought it for exchange because it was frozen and leaked due to the cold weather in this winter. It is good that you can use it without worrying about the kind of pipe. This review is about item#85944923. It helped to join PVC pipes and steel pipes to dissimilar tubes. There is no water leakage so far and it is a reliable texture as a glitch. I used it for connecting the polyethylene double tube with outer diameter 27 mm and PVC pipe with outer diameter 26 mm by repairing the water pipe but it is satisfactory without any leakage. It is a bit heavy, but it is sturdy and has a sense of trust. This review is about item#85944932.